Arrowhead Clinic has been servicing the Garden City, Georgia Community with Chiropractic Care for over 40 years. Our Chiropractors have the experience and knowledge necessary for the treatment our patients need so that they can return to a normal life. 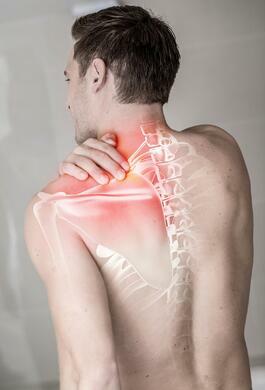 Arrowhead Chiropractic Clinic is the name trusted most among those dealing with pain and injuries. Our quality care and service have been helping people in the Garden City, Georgia community improve their quality of life by diminishing their pain. If you are searching for the right Chiropractic doctor, our Garden Injury Clinic is here to help. Call Garden City's Arrowhead Chiropractic Clinic Today, or Click on the Button Below! When you arrive at the Garden City Clinic for your Free Chiropractic Consultation with Dr. White, you will be asked to fill out the standard paperwork. 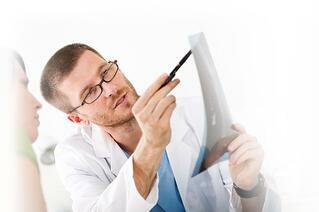 We require our patients to provide their background information and medical history. We do this so we can better understand your condition and set into action the proper plan to diagnose and relieve your symptoms. Where in your body are you experiencing the discomfort? Is there anything that seems to help with pain relief? Is there any activity or movement that makes the pain worse? Is it a continuous pain, or does it come and go? Once Dr. White has finished asking you about what brought you into our Garden City office, she will conduct a thorough physical examination that includes tests to evaluate your balance, range of motion, and muscle strength in the afflicted area. Besides the physical examination, our chiropractors will also perform an X-ray on our patients. This is done to help in diagnosing the condition and making sure you are safe to treat with chiropractic care. Once Dr. White compiles your results from the diagnostic tests, she will develop a custom treatment plan for you. This plan will include goals for your treatment that includes relieving pain, restoring function and mobility, and getting back to living an active, healthy lifestyle. Chiropractors are a great treatment alternative for individuals who are looking for treatment without having to take prescription drugs. "Most medical doctors can not treat soft tissue or spinal injuries the way a chiropractic doctor can." Chiropractors have specialized training in handling injuries to the musculoskeletal systems that can not only relieve your symptoms but also restore your body to its natural functioning ability, leading to a healthier future. If you are experiencing any of the symptoms listed below, you can benefit from the expert treatment provided by a chiropractor. Let Dr. White in the Garden City Chiropractic Clinic develop a personalized treatment plan for you. She will quickly relieve you of your pain, stiffness, and tension, allowing you to regain your quality of life. 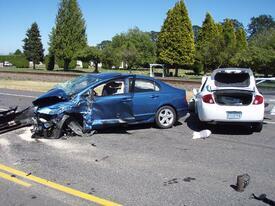 Many injuries are a direct result of a personal injury accident. Our Garden City Chiropractic Clinic not only specializes in helping the injured but also those specifically hurt in accidents caused by negligence. Dr. Victoria White treats patients injured in all types of personal injury accidents at the Garden City Clinic location. All treatments performed by our experienced chiropractors are safe and natural. Our clients prefer these methods over costly surgeries and addicting medications that mask the pain. 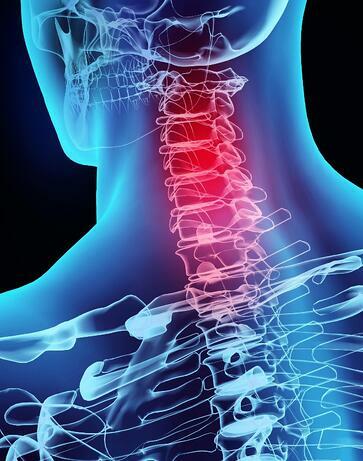 Our chiropractic clinic in Garden City, Georgia focuses on correcting spinal misalignments and easing muscle tension around the injured vertebral body. "Chiropractic Adjustments are used to correct the structural alignment of the spine and improve your body's physical function." Spinal Adjustment. This treatment is used to correct the alignment of the vertebrae of the spine to reduce pain in the joints and muscles. Spinal Decompression. The decompression technique uses negative pressure to put bulging and herniated discs back into the correct position. Ergonomics Training. During your treatment with us, our chiropractor may recommend some modifications of your workstation or change the way you are sleeping at night to correct some of the positioning and posture issues that are causing you pain. Electrical Muscle Stimulation Therapy. Another therapy that our Garden City office utilizes is electrical stimulation therapy. Electrical Muscle Stimulation involves pulsing electrical currents being sent into the muscles to help relieve tension. Pelvic Stabilization Drills. When leg length deficiency, subtalar instability, and flat feet are present, Dr. White may prescribe you a specialized piece of footwear to correct the discrepancy. If we correct the way you naturally walk to become more structurally sound and efficient, your body will be able to eliminate the tension, reducing your pain. superior level of overall health and fitness. Manual manipulation by our Garden City Chiropractic provides relief from back pain by taking pressure off of neurological tissue, restoring blood flow, reducing muscle tension, increasing flexibility and creating a series of chemical responses in the body that can act as natural painkillers. "By repositioning the spinal joints, discs, and vertebra back to their natural form, our patients can get immediate relief from their pain." If you are looking to alleviate your residual achiness, soreness, and stiffness, while restoring your bodies natural flexibility and mobility you need to call our Garden City Chiropractor today for a Free Consultation. I really enjoy the staff here at Arrowhead Clinic in Garden City. Dr. Knolla is very knowledgeable and offers excellent suggestions and feedback. The staff is also extremely friendly with wonderful bedside manner. My treatment has been proven successful and without a doubt, my healing process has progressed. I would recommend this clinic to anyone in need of a chiropractor for chronic back pain, recent injury due to work-related accidents or automobile accidents. Five stars and two thumbs up!